Select a pattern and choose your colors for a custom cement tile design from Sabine Hill. 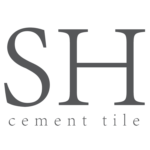 Our cement tile design tool makes it easy! Just select a pattern, choose a color and click on the section you want to use it! Then preview your design to see it in a 16 tile layout. You can even rotate the tiles to show different installation options. When finished, just download and print your Record Sheet, note where the colors go and contact us!